Combined Heat and Power (CHP) systems use an engine-generator (located on-site or near-site) to produce electricity and heat from a single fuel source. Heat that would otherwise be wasted is recovered and used for producing steam, hot water, heating buildings, or industrial process heat. To compete with electricity from the grid, a CHP system must be highly efficient. CHP systems can achieve efficiencies of the order of 85%, resulting in tremendous energy savings. They often pay for themselves in 2 to 4 years. 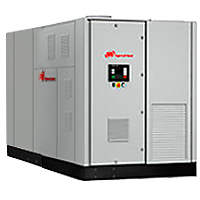 Further, if you already own suitable standby engine-generator(s), it can be readily incorporated in a CHP system. One of the most attractive aspects of CHP is its ability to offset demand charges. Demand charges are based on the peak amount of energy that a facility uses. By running a CHP system during peak periods, a facility can lower its demand charge significantly. Electricity is provided using one or more power generation options, including internal combustion engines, combustion turbines, Microturbines, steam turbines, or Fuel cells. The power generation equipment may be fired by natural gas, diesel, propane, or other fuels. We design, integrate, install, and sell systems/equipment for combined heat and power generation. We do not represent a single manufacturer. We help our clients select the best equipment for their application. Our goal is to develop systems with the highest energy conversion efficiency, reliability, and the return on investment. Cummings Lean–Burn natural gas generator, 315kW to 2 MW, provides high fuel efficiency and very low emissions. Ideal for peaking, prime power and CHP. Ingersol-Rand 250 kW microturbines. Use for continuous electric power. Unit incorporates high quality, clean exhaust for use in cogeneration. Indoor or outdoor operation.